A communication was sent out today courtesy of OOTP developments. It’s good to see the continued commitment from this development house in the hockey simulation market. With several hockey games available in different formats, FHM 2 is attempting to improve on it’s first release and forge its own identity. Here are the main elements from the newsletter while modifying some of the marketing language. 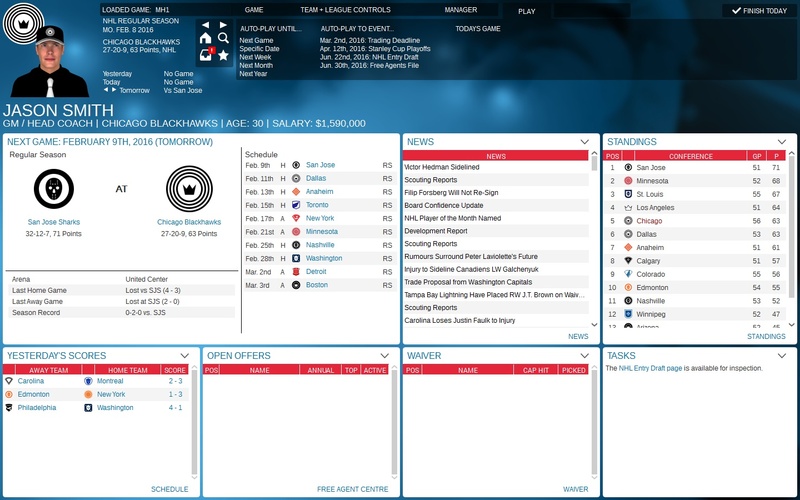 On September 28th, Franchise Hockey Manager 2 will be available to the public. There is an early purchase opportunity right now before October 5th to get a copy with $10 dollars off. Choose one of 21 leagues from around the world and select a team to guide to glory. Or, create your own fictional setup and league. 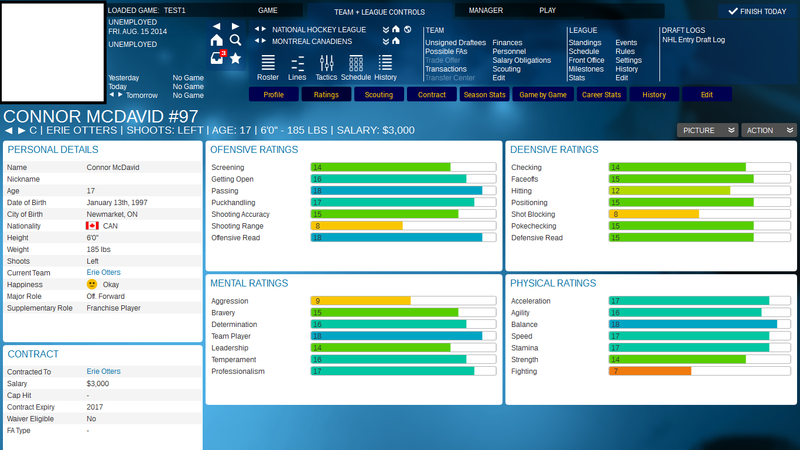 In FHM 2 you are in charge of signing free agents, making big trades or waiver wire pickups, drafting the next crop of superstars, setting your lines and in-game tactics and more. The game engine and many of the core systems have been completely overhauled from the first iteration. Our brand new 2015 roster set includes playable leagues and teams from around the world, from the highest professional levels down to junior hockey. Will Connor McDavid be enough to guide the Oilers to glory? Will a Canadian team finally once again hoist Lord Stanley’s mug? Will the Los Angeles Kings or Chicago Blackhawks be able to continue their modern day dynasties? Or will a new hockey power emerge? It’s all yours to find out as you play through your own hockey universe! The heart and soul of FHM 2 – the game engine – has been completely redesigned from the ground up. With the new engine, every second of a game is simulated and the engine keeps track of exactly which zones the puck is in and where all players are, at all times. This allows us to simulate the flow of a hockey game much better than before, with each event playing out through the engine. 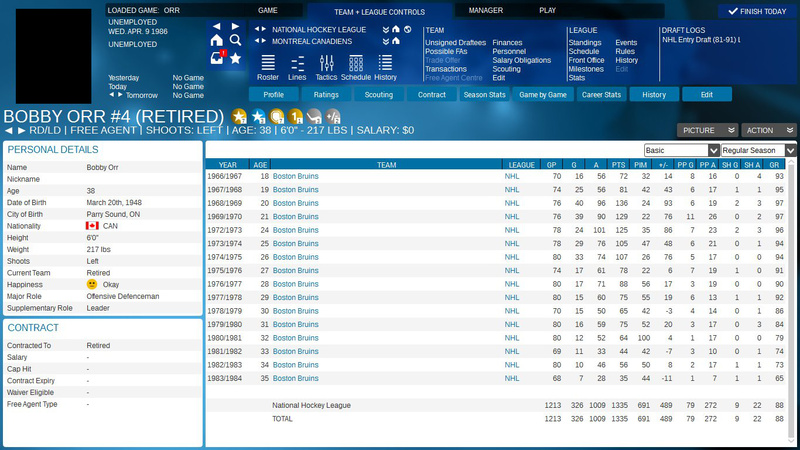 You can trade for, sign, draft, and develop the best and most talented players, but that’s only part of the challenge in Franchise Hockey Manager 2. In order to truly reach full potential, you will need to put in place the optimal strategies to get the most out of your players. Or, if general managing is more your thing, you’ll have to have faith in your coaches and assistants to do the work for you – setting tactics isn’t something forced upon you if you’re less of a micro-manager. The tactics system and the entire game engine in Franchise Hockey Manager 2 have been rewritten. Want to bring NHL hockey to your hometown or favorite city? 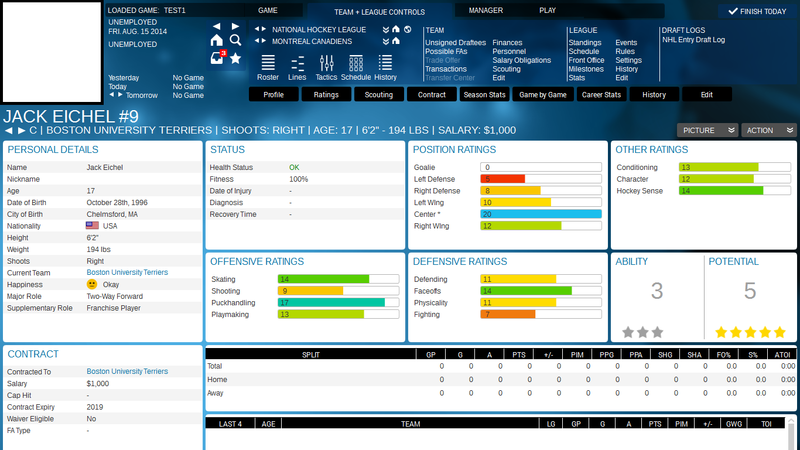 Franchise Hockey Manager 2 now supports expansion for the NHL and fictional leagues. If you’re the general manager of an existing team, you’ll have to make tough choices about which players to protect from the expansion draft – should you stick with your veteran goaltender or turn the reins over to your young unproven talent? As an expansion franchise, you will have the unique challenge of trying to build a contender from the spare parts of other teams. But with shrewd moves and some patience, your new expansion franchise could quickly become a contender! FHM 2 features the deepest and most complete history for teams, leagues and players in any hockey game available. Want to look back at old trades to see how they panned out? Review past award winners? Check out all-time and single-season league leaderboards? Or examine past drafts to see how that first rounder panned out? There is nothing you can’t find in FHM 2. 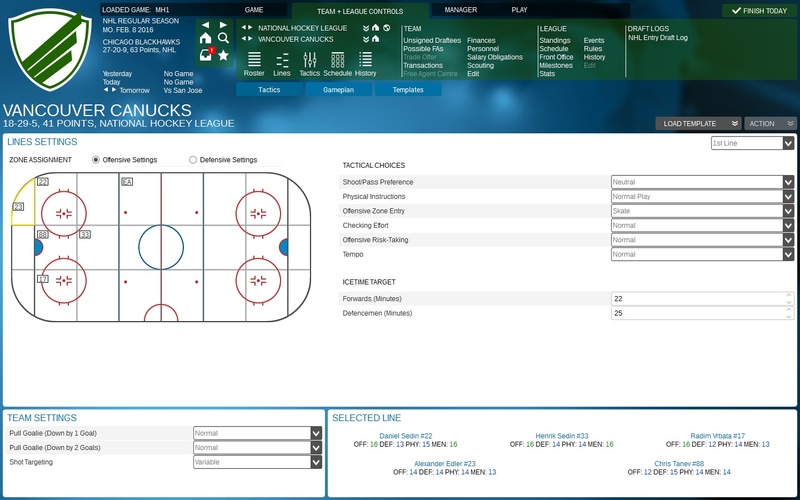 Franchise Hockey Manager 2 will bring Facegen technology to the series, greatly enhancing immersion by generating individual portraits for every player and staff member. Players and coach pictures will age, gain or lose weight, and show their demeanor (keep your players happy unless you want some upset Facegens!) throughout their careers. Facegen also allows for custom-created jerseys to be used for each team, as well as having a player’s picture change jerseys when he switches teams. Game Rating: FHM 2 features a new way for you to evaluate the performance of your players – the Game Rating (GR). During a game, each event (good or bad) will change the GR, so you always know how well a player performs on the ice. Since the calculation includes the role of the player and the situation on the ice, you can get a pretty good picture of the performance. 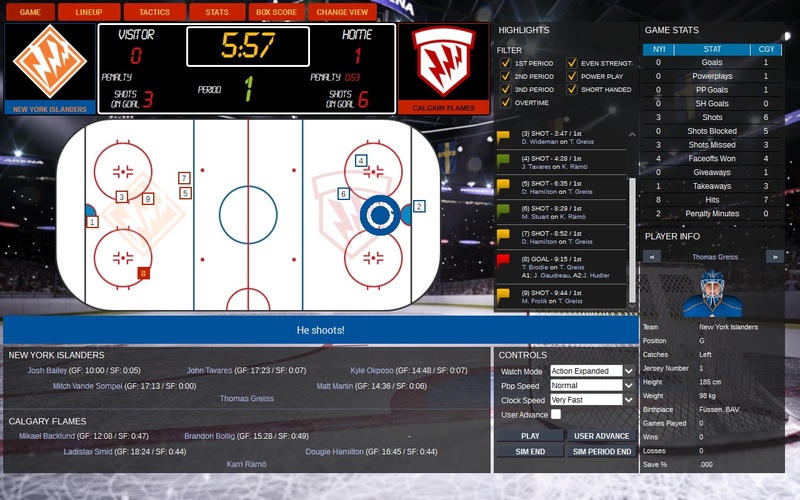 Not all players are goal scorers and will have their names show in the score sheet – now you can accurately track how everyone is contributing to your team’s success or failure, from your stay-at-home defensemen to your grinding 4th line forwards. Redesigned Fictional Mode: We have removed the fictional mode from FHM 2014 and replaced it with a new version that is much more streamlined and stable. Now you can play with just one league (or add major junior and/or a farm team level if you like) and form it to your liking by changing selected rules and option. Pre-season games: Need to make some tough roster decisions to get your team ready for the start of the season? Before the regular season starts, use these games to prepare your team for the regular season and find out who will make the squad. 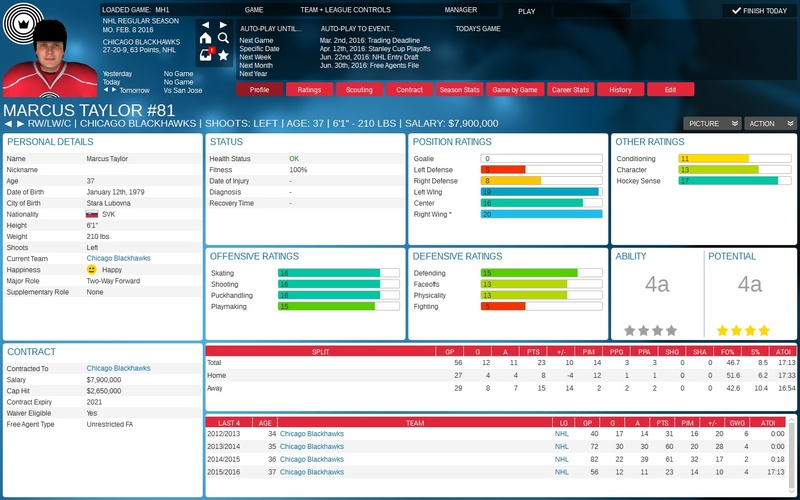 Head coaches: It is now possible to hire a head coach for your team and play as GM only. Historical changes: We’ve added new historical seasons to the game, so you can start even further in the past – all the way back to 1931. 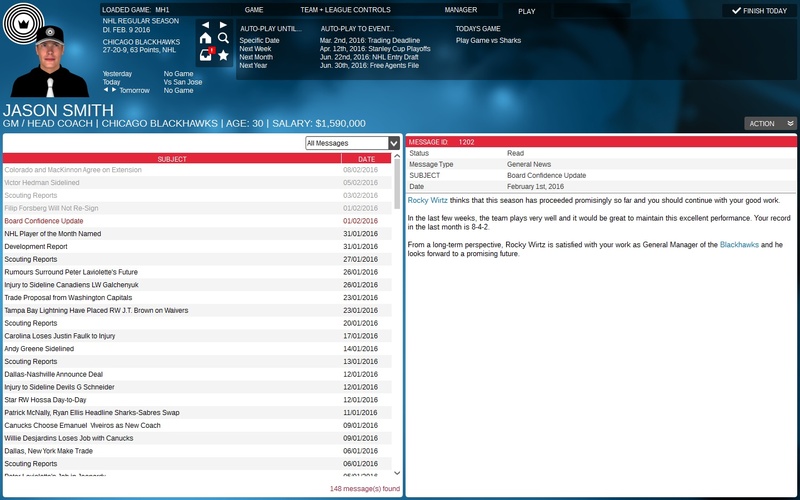 In addition, you can now continue your game when reaching the last historical year and turn your game into a fictional league. We’ve added historical dollar values and a season preview, so you always know the situation for every season you are just about to start. Greatly expanded news section: We added many additional news types and expanded the text of all news to give you more immersion and help bring your league to life. Basic online league support – Match wits with other human GM’s! Retiring players can now become staff – Is your former star forward your next head coach? Extended draft logs – Looking back to see who some of your draft busts and booms were is quick and easy. …and many more new features and cosmetic changes!